The House Judiciary Committee Tuesday approved a bill to provide immediate relief to small businesses and freeze the implementation of significant regulations by the Obama administration. The Regulatory Freeze for Jobs Act of 2012 (H.R. 4078), which was introduced by Congressman Tim Griffin (R-Ark), puts a moratorium on new significant regulations until the national unemployment rate stabilizes at or below six percent. The bill was approved by a vote of 15-13. The Obama administration has quickly turned the United States into a regulation nation. This Administration has adopted an unprecedented amount of costly new regulations, which hinder small business growth and stall job creation. According to a study by the Small Business Administration, regulations cost the American economy $1.75 trillion annually. 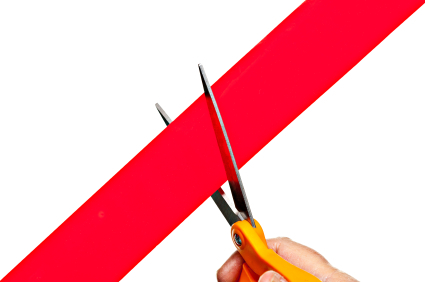 We need to encourage small businesses to expand, not tie them up with red tape. Unfortunately, rather than add much-needed jobs to the economy, the Obama administration has only added job-killing regulations that burden businesses and stifle economic growth. In 2011, the Obama administration’s agenda had over 200 ‘economically significant’ new rules, each of which typically affect the American economy $100 million or more each year. The Freeze Act gives small businesses a much-needed break from new significant federal regulations until the unemployment rate stabilizes at six percent. The Act encourages job creators to make the kinds of investments that will jump-start our economy and gives them confidence about future regulatory actions. The Freeze Act helps lift the burden on small businesses and frees them up to spend more, invest more, and produce more in order to create more jobs for American workers. H.R. 4078 is narrowly tailored only to stop unnecessary regulations. The bill contains reasonable exceptions for significant regulations that are necessary to protect health and safety, for national security, to enforce criminal laws or to implement trade agreements. Information on today’s markup of the Freeze Act can be found here. Background on Regulation Reduction Bills: Last year, the House of Representatives passed three House Judiciary Committee bills to help reduce the impact of burdensome regulations on small businesses and the economy. The Regulations from the Executive in Need of Scrutiny (REINS) Act (H.R. 10) requires Congress to approve regulations that have an economic impact of $100 million or more before they can be imposed on the American people. The Regulatory Flexibility Improvements Act (H.R. 527) requires federal agencies to identify and reduce the costs new regulations would impose on small businesses. The Regulatory Accountability Act (H.R. 3010) places permanent restrictions on regulatory agencies and restores accountability by requiring openness and transparency in the regulatory process.